DUBLIN — Residents in the predominantly Roman Catholic Republic of Ireland voted on Friday to repeal the nation’s constitutional amendment banning the murder of unborn children, paving the way for lawmakers to propose legislation allowing mothers to obtain abortions. As the results were announced on Saturday at Dublin Castle, the hundreds gathered broke out into loud cheers and popped champagne bottles. “It says something about your soul if you’re happy with abortion,” one commenter lamented. 66.4% percent of voters cast their ballot to repeal Article 40.3.3 of the Irish Constitution, also known as the Eighth Amendment. Donegal was the only county not to vote in favor of the repeal. “Today, we have a modern constitution for a modern people,” he asserted. 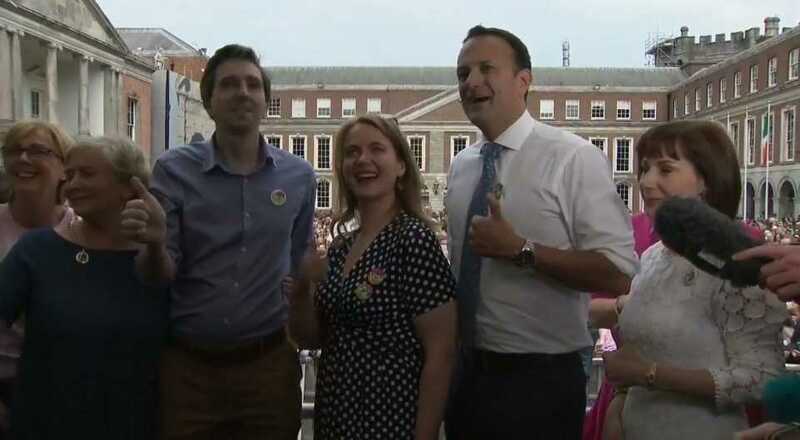 Health Minister Simon Harris also claimed in speaking to the crowd at Dublin Castle that the voters chose the “compassionate” route for women. “Thank you so much to everybody who voted, to everybody who came out, the men, the women, the voters in rural Ireland and urban Ireland, who thought long and hard about this question and they said we want to live in a more compassionate country where we look after our women,” he said, resulting in cheers.